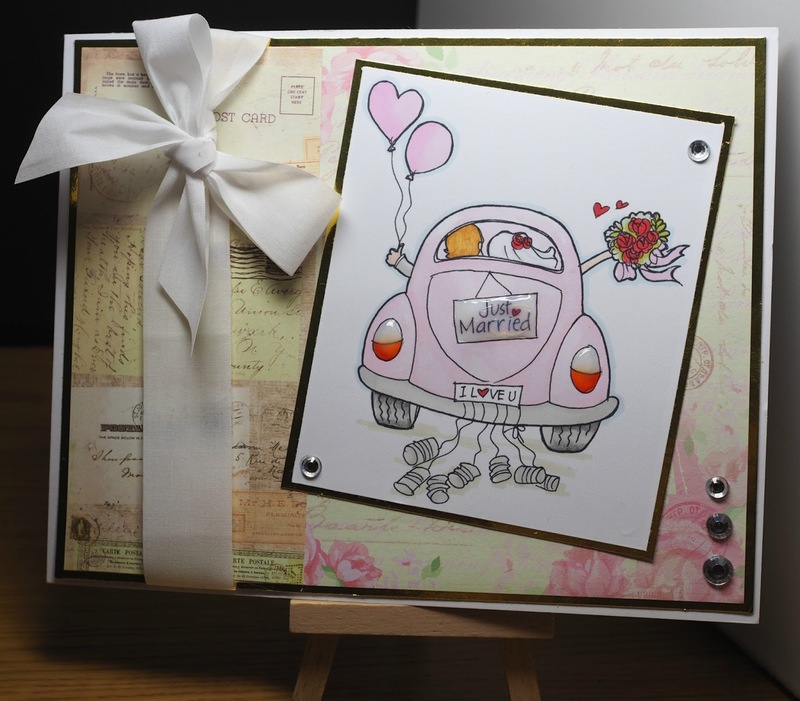 The image is First Date from Time for Tea Designs and makes a lovely image for teen birthdays. Omg I'm late with my post this week, I have had a busy one, but the theme this week of anything goes meant I didn't have to do a lot of planning, I could just have a play. I got my poor old neglected crop-a-dile out for this card, I think it is time for eyelets to make a comeback I have far too many that need using up. 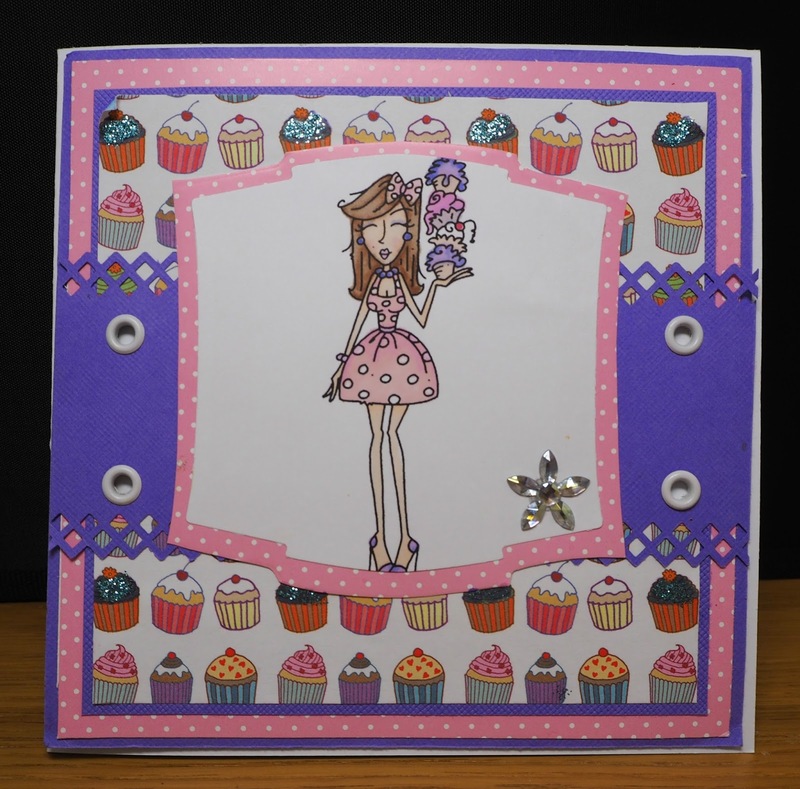 I have used a sponsor image from bugaboo this week and some cup cake papers I glitered because I didn't like the actual colours on the paper. 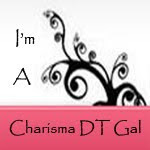 Hope you can join in the fun over at Charisma this week, good luck! mirri card and sparkly jewels to make my wedding card shine. I cut down an 8x8 to a 6x8 portrait card and I think it makes it look pretty unique it is oversized but not overpowering. The digi is from Milk and cookies and the papers were some I found in my stash I'm not sure where they are from but I thought they were quite romantic. 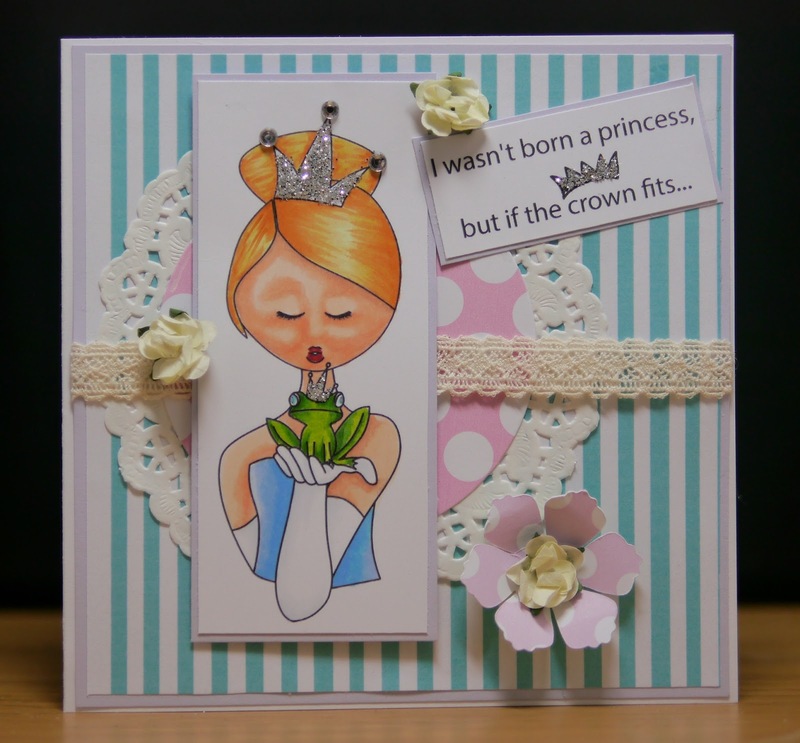 I have chosen one of the gorgeous digis that were recently released as part of the Polkadoodles birthday celebrations, I used one from the Ruth bundle. I think this is such a fab image and have wanted to colour it for ages. I picked some colours from the Kaisercraft papers I used to colour my image in with so it all co-ordinated and added some vellum bunting to embellish. 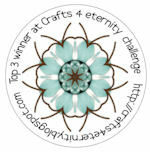 Pop over to the blog and join in the fun, check out the DT makes too! It's all about the guys at digi choosday this week. I used a cute Emma Canning digi for my card this week, Love Boy, and I coloured him sepia trying to keep the card fairly monotone. Unfortunately I had a glitter mishap trying to embellish the love heart so I had to improvise and make a kraft card heart for the boy to carry. 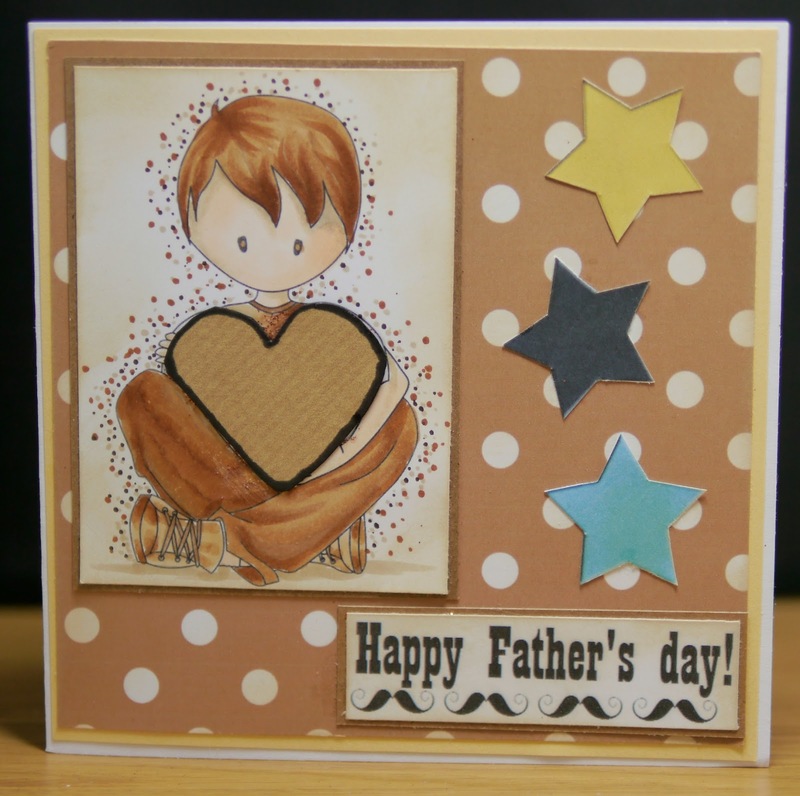 I have used brown spotty papers from the Christmas Joy bundle and extra embellishments from Sugar boys collection. I have used spotty and stripey papers for my card this week, classic and classy I think. These are both from Dollie Daydream as is the sentiment and it all tied in perfectly with the digi, Kiss The frog from Emma Canning. I did a bit more experimenting with my colouring this week, but the skin tone was a bit strong. 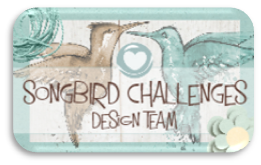 Pop over to the challenge blog to join in the fun. I have built a scene up to make my own holiday scene this week using this cute Emma Canning digi. 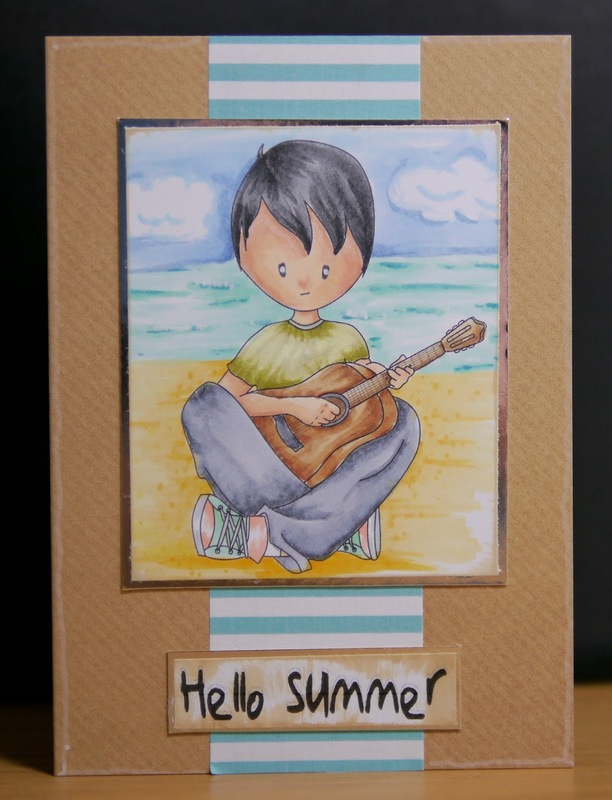 I liked the idea of a summer birthday card for a teen so I set the guitar player on the beach, I was tempted to try colouring a camp fire but chickened out. I like to think outside the box with digis, it gives them a new dimension. Thanks for looking, hope you can join in the fun this week at the Digi Choosday blog.